January 17th-20th Come Up To My Room @ The Gladstone Hotel, 1214 Queen St. W. Come Up To My Room invites artists and designers to create four-day site-specific, immersive installations that stimulate the imagination and encourage discussion and dialogue between contributors and visitors alike. #CUTMR2019 will feature over 20 projects with over 50 participants! $5-10 advance tickets available online. January 18th-27th DesignTO Festival @ various locations. DesignTO, formerly the Toronto Design Offsite Festival, brings you 10 days filled with immersive installations, fantastic exhibitions, engaging talks, and more design and art than ever before. 7:30 pm F*ck Sh*t Up: Trans + Non-Binary Performer Cabaret @ The Gladstone Hotel, 1214 Queen St. W. Enjoy performances by Chanty Marostica, Rosie Bourgeoisie, Amian Black, and Bilal Baig as part of the Gladstone’s Thursday night cabaret series. With hosts Babia Majora and Fluffy Soufflé. Stick around after the cabaret for tunes and more good times. PWYC ($10 suggested, but no one will be turned away). 10 pm Wipe Out @ Swan Dive, 1631 Dundas St. W. Rock, punk, psych, and surf with DJ Luke Harley. 7 pm DesignTO Launch Party @ St. Lawrence Hall, 157 King St. E. Kick off the new 10-day festival at the DesignTO Launch Party! Mix and mingle with independent designers, architects, artists, makers, and curators at the event that brings Toronto’s creative community together. $12 advance tickets available online, with proceeds going to DesignTO to help achieve their mission to advance design culture in Canada. 10 pm 80s Mixtape Dance Party @ Stone’s Place, 1255 Queen St. W. DJ Blush takes you on a trip back to the 1980s in a musical DeLorean of awesomeness. Overload on hairspray, break out the shoulder pads, and get ready to start your weekend off right! $5. 10 pm Saddle Up! @ Owl’s Club, 847 Dovercourt Rd. Dance to Willie, Dolly, Loretta, and the rest of your honky tonk favourites! You’ll hear all the good tunes and the best of the bad ones (no bro country). Live set by Lenny Bull & The Main Offenders at 10:30 pm. $5 before 11 pm, $10 after (bar is cash only). 10 pm Whas Good @ The Ossington, 61 Ossington Ave. Good vibes dance party! Hip-hop, R&B, soul, reggae, and dancehall – old school to new school. 10 pm Shadows of Motown @ The Boat, 158 Augusta Ave. DJs Well Said, Slater, and Ty play the biggest and best Motown, doo-wop, and booty shakin’ hits. 10 pm Nautiluss b2b Yohei S @ Bambi’s, 1265 Dundas St. W. Back-to-back DJ sets by Nautiluss and Yohei S.
10 pm DJ Granny Pantys @ Swan Dive, 1631 Dundas St. W. Come get freaky as DJ Granny Pantys plays rock, psych, post-punk, and oddities. 10 pm Co-Werk @ The Drake Underground, 1150 Queen St. W. A party concept inspired by collaboration. No openers; no headliners; no set times – just a rotating crew of DJs keeping the vibes fresh and the energy high all night with a mix of hip-hop, house, reggae, club, and classics. This month’s meeting will be led by Bianca Lee, Do Not Push, Freeza Chin, and JAYEMKAYEM. $10. 10:16 pm Sixteen States@ Tennessee Tavern, 1554 Queen St. W. Banded in good company, 16 DJs present unique 16-minute pathways to enjoyment. No cover, but charitable monetary donations will be accepted to help aid the Parkdale Community Food Bank. 10:30 pm Untold Stories @ Eden Hall, 193 Baldwin St. Join DJ and producer Roberto S for one of the last nights at Edenhall before it closes its doors this February. 11 am Small Ball Mini Cask Fest @ Left Field Brewery, 36 Wagstaff Dr. Join Left Field Brewery as they crack into some delicious cask versions of your faves! This annual event includes 10 unique casks, food pop-up by Dover Boys Fish and Chips, and limited edition 5oz. glassware. Until 9 pm. 12 pm Women March On: Toronto @ Nathan Phillips Square, 100 Queen St. W. Because we will NOT go back.Women March On: Toronto invites you to join together in marching, resisting, and making it clear to policymakers that we will not accept rollbacks and attacks on our communities.This march, and this movement, began in solidarity with our sisters in the United States as they demonstrated their resistance to their country’s new leadership. We march to bring awareness to the changes needed to build a safer, more inclusive Toronto. Until 3 pm. 4 pm January Swap @ Dovercourt House, 805 Dovercourt Rd. Bring your gently used clothing and accessories and exchange them for other gently used items! 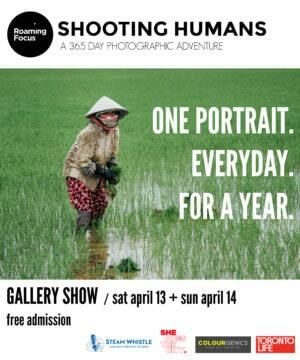 $7 entrance fee, plus one bag or more of clothing (babies to adult clothing, shoes, and accessories of any gender). Until 6 pm. 8 pm DJ Skate Nights: Synthesexer @ Harbourfront Centre, 235 Queen’s Quay W. Join Synthesexer for a skate night of electropop, italo disco, and house! Skate and helmet rentals available. Until 11 pm. 10 pm Love Design Party @ The Gladstone Hotel, 1214 Queen St. W. The official celebrate for Come Up To My Room! Explore all four floors of the Gladstone, then drink and dance the night away in the Ballroom beneath an installation of suspended limited edition kinetic Love Design mobile sculptures by Shelter Bay. DJs Myst Milano and Ace Dillinger will throw down while you celebrate all that is art and design. 10 pm Dirty Talk @ Unlovable, 1415-B Dundas St. W. Music for dancing with pleasure models. Music to transport you to the far reaches of Orion, to watch the C-beams glitter in the dark. Music for robots, runners, and replicants. Pammm and Diana McNally (Automaticamore) play Italo, cosmic disco, ’80s Euro synthpop, Montreal sound, and weird dad jams. 10 pm Bingo Bango @ The Red Light, 1173 Dundas St. W. A night of electro, dark italo, minimal wave, and synthpop with DJs Castelvi, Cryogenetic, and Butr. 10 pm Link Up @ The Ossington, 61 Ossington Ave. DJ Kid Ka$h spinning the best in top 40, hip-hop, RnB, soca, and reggaton. Tunes for all headtops. 10 pm Get It Together @ The Boat, 158 Augusta Ave. Kensington Market’s open format dance party welcoming all genres, all styles, and all people. Selections by Mikey McFly. 10 pm On Earth 1 Year Anniversary @ Bambi’s, 1265 Dundas St. W. On Earth celebrates one year of bookings and bops with two outstanding DJs, AKUA (NYC) and KTANA (Toronto). $10 advance tickets available online. 10 pm It’s All Good @ The Piston, 937 Bloor St. W. Join resident VJs General Eclectic and Mike Luke as they take you on a journey through the 1990s, from Biggie to Bjork, Nirvana to No Doubt, Destiny’s Child to Daft Punk, TLC to ATCQ, Eminem to En Vogue, Mariah Carey to Massive Attack, Portishead to Pavement, Spice Girls to Stereolab, and much more! $10. 10 pm I Think I’m Making A Comeback Dance Party @ Swan Dive, 1631 Dundas St. W. DJ Shirley Tempo plays Motown, soul, rock, pop, and guilty pleasures to make you dance! 10:30 pm Chronologic @ The Garrison, 1197 Dundas St. W. A dance party through the ages. Pop and anti-pop from since the end of history (i.e. music from 1890 to 2019, played in chronological order). $5 before 11:30 pm, $10 after. 10:30 pm Divas Only: Starring Madonna @ Glad Day Bookshop, 499 Church St. Glad Day and Juicy Moon Productions are bringing divas from across the decades under one roof with all the glamour, high notes, and wind machines you can handle. Special spotlight on Madonna. DJs Johnny B Goode and DJ Maggy on the decks + special performances by legendary Queen Jezebel Bardot throughout the night. $5 before 11:30 pm, $10 after. 10:30 pm Back In The Day @ Revival, 783 College St. A tribute to ’90s old school hip-hop, R&B, dance, house, reggae, and pop with DJs Baby Yu, R2, and J-Class. Email info@themarqueemedia.com for bottle service inquiries and guest list. 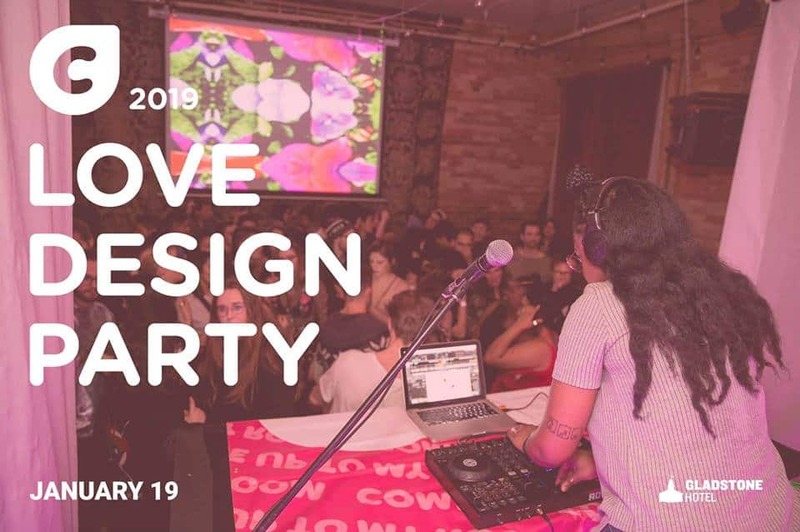 11 am GH Marketplace: Love Design Shop @ The Gladstone Hotel, 1214 Queen St. W. Meet the designers behind some of Ontario’s most exciting brands at this one day-only shopping event. From emerging artists to established fan favourites, the Love Design Shop features a carefully curated selection of home décor, giftware, jewellery, and fashion. Look forward to an assortment of must have staples, new products, and limited edition goodies in one intimate space, then top it off with a bouquet from the flower bar, and you are sure to find something for every design lover. Until 6 pm. 3:30 pm Sunday Afternoon Social @ 251 Queen St. W. Box of Kittens and Justin of alienInFlux Sound System, Boreal Canoe Trip, and founder of Harvest Festival invite you to the first Sunday Afternoon Social of 2019! On the second floor: Human Rights (10 member live reggae band), Yoshi & Chi, Synapps, and Blair Williams. On the third floor: Kenny Glasgow, Karla Houser & Loxxe, and Box of Kittens DJs (Fabio Palermo + Jamie Kidd + Mike Gibbs). $26 advance tickets available online. 6 pm Girl Gang Cabarets 1 Year Anniversary @ The Painted Lady, 218 Ossington Ave. A celebration of women-identifying people and artists! Featuring artists Janice Jo Lee, Bethany Daniels, Niki Nikita, and Claire Mortifee followed by an open stage lady cabaret (open to comedians, storytellers, poets, musicians, dancers, or anything else you can think of) and jam. $10 in advance, $12 at the door. 10 pm Love Shack @ Swan Dive, 1631 Dundas St. W. DJ DangerCat spinning all your favourite rock and roll, indie, garage, surf, and new wave hits all night.